﻿Reviewing the song Cagayake!GIRLS would be pointless. There is not a K-On! fan in the world who doesn’t know this song from the TV anime. 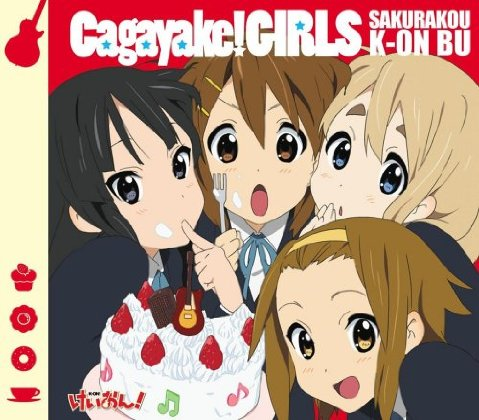 The difference, obviously, is that the CD single features a full length version of the song as opposed to the 90 second long version featured over the anime’s opening sequence. But it’s the same song, of course, just… longer. 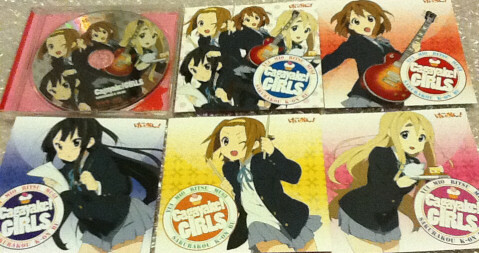 Two different editions of the Cagayake!GIRLS single were released. 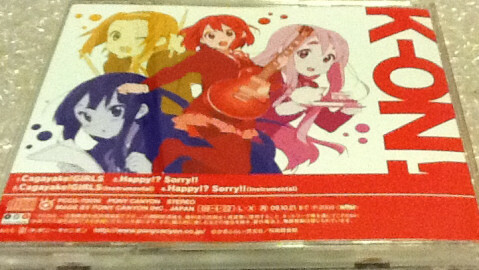 The content of the CD was identical between the two versions, but the presentation of it differed. While I don’t have the regular edition on hand to review, it had different cover art and came in a slim CD case whereas the Limited Edition comes in a standard jewel case. 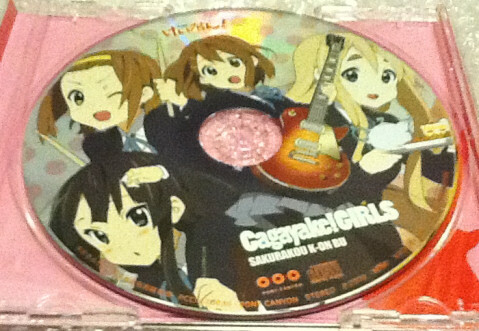 Unique to the Limited Edition is the artwork on the disc itself (the same as on the cover), as well as how the cover insert is handled: Instead of the usual little booklet, there is a series of separate inlays, each with a piece of the art work on the front and part of the lyrics or credits on the back. 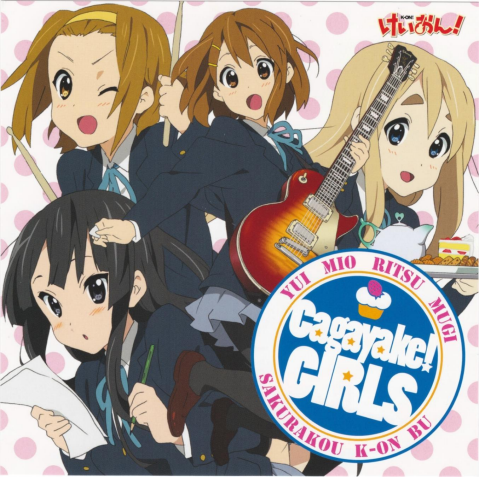 Each of the characters featured on the “main” cover gets their own cover inlay where their picture is separated from the rest, so if you’re one of those weirdos that’s only a fan of a specific character and not the group as a whole (how are you a K-On! fan?) all you have to do is switch the cover and – voilà! – your beloved Ritsu, or whoever, gets all the attention. The regular edition should still be easily available, but the LE is, sadly, out of print. Fortunately, if you really want it – and why wouldn’t you? – it’s not hard to find it second hand and if you do a little searching you can probably find new and unused copies without too much trouble. Old News: “Come With Me! !” trailer!